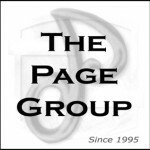 The Page Group principals were early adopters and pioneers in online business planning and e-commerce. Partnering with the premier online technology, creative, and design professionals, we assist clients in devising their Web strategies to maximize this critical and important channel. The Page Group can assist your company in developing its e-commerce strategy and creating the online dynamic presence your firm requires.